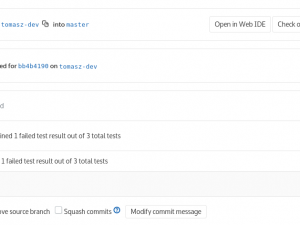 froglogic/Blog/Tip of the Week/BDD Test Cases in Squish: Clean Up After Your Scenarios! 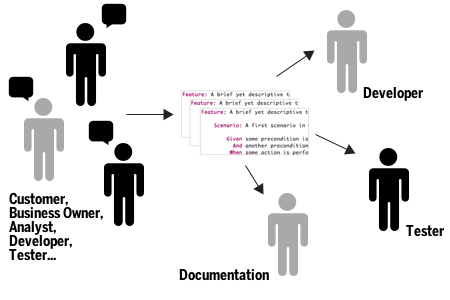 BDD Test Cases in Squish: Clean Up After Your Scenarios! Squish allows creating functional tests for user interfaces in a behavior-driven (BDD) style. Instead of expressing how a user interacts with an application (“enter this, click there”), behavior-driven tests allow using a higher degree of abstraction, enabling us to concentrate on what the user does (“enter user name, confirm login dialog”). By using the expressiveness of the scripting languages supported, a very elegant scheme for tearing down BDD test cases can be implemented. This description provides a very generic description of how the functionality for filling the address book application with entries works. In particular, it’s evident that data can be added, and the data can be saved to a file. However, the description is deliberately imprecise as to how exactly the steps are to be performed – which menu items, toolbar buttons and input fields the user needs to interact with. The addressbook application is launched, the user interfaces is automated to enter a new record and save it to a file, and finally the File API of Squish is used to count the number of lines in the generated file. The script code for this step automated the user interface such that a new file is stored to disk. In order to make our test case not leave old cruft behind (which might influence other test cases), it would be good if we removed the file at the end of the scenario. This code, usually stored in the file shared/scripts/bdd_hooks.js of a Squish test suite, will cause the Addressbook.txt file to be removed automatically after the last step of a BDD scenario has been executed. However, consider what happens when the scenario gets terminated unexpectedly. For example, an object lookup error might occur in the ‘I add a new person’ step, causing an exception to be raised which not only stops execution of that step but in fact causes all subsequent steps to be skipped and the scenario to be terminated. is never executed, there is no file to delete – which in turn will make the File.remove() statement fail, logging another fatal error! Cleanup After BDD Scenarios – When Needed! What we really need is a post-scenario hook which only does the cleanup when needed, i.e. only when the step for saving the address book was actually executed. step the list can be extended with a new function which merely calls File.remove(). This code iterates the (potentially) empty list postScenarioHandlers, invoking each registered handler. To provide some context, the context value given to the OnScenarioEnd hook is passed on to each handler (such that e.g. a handler could behave differently depending on the scenario which has ended). The OnScenarioEnd hook no longer unconditionally removes a file. Instead, the File.remove() statement is only called when needed – when saving the file succeeded. The name of the file being needed is no longer spread over the script code: it used to be mentioned in both the step implementation as well as the OnScenarioEnd hook. With the new approach, all mentioning of the name Addresses.txt are in a single place, so when changing that step (e.g. by using BDD placeholders), only a single script function needs to be updated. 1) This script uses script-based object names to identify objects. Script-based object names are a new feature which were introduced with Squish GUI Tester 6.4 Beta. 2) Functions which take other functions as arguments or return functions as their return value are commonly called Higher-order functions. Looks nice, but the `type(waitForObject(…` lines look wrong: the first closing parenthesis should be after the waited object, not at the end, no? @Aurélien good catch, fixed now. Thanks for pointing this out!